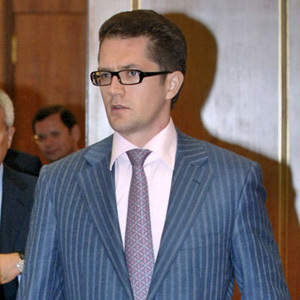 As the New Year approaches, Deputy Economic Development and Trade Minister Kirill Androsov expressed satisfaction with the course of 2007. In an interview with Rossiyskaya Gazeta, he outlines what he considers to be the main developments. How is the structure of Russian petrocarbon export currently changing? Is there any move away from crude? Producers will continue to export crude as long as it is more profitable to do so than to sell it on the Russian domestic petrochemicals market. If this trend continues there will be no reason to build refineries in Russia. But the thought behind this reasoning remains sound only if there are enough petrochemicals on the domestic market. As far as I know, some 230 million metric tons of oil out of the 492 million metric tons produced in Russia are refined in this country. Of this, 50pc is used in the domestic market and the rest is exported. However, that situation is gradually changing. The local Russian market is now offering producers the chance to turn more revenue than could be gained from export. Subsequently, this is encouraging companies to invest in refining activities. Indeed, the state has several tools for regulating this process. For example, it can limit the consumption of low-quality fuel by enforcing the Euro-2 and Euro-3 standards for petrol. It can also grant excise privileges for higher-quality fuel, which would provide a further incentive for deeper conversion. The decision to cancel import duties on imported high-tech refinery equipment was a significant step. Which companies in particular are choosing to do this? Both TNK-BP and Rosneft have plans to considerably increase capital investment for the modernisation of oil refineries. But government has to make oil refining - and thus the production of high-quality fuels - profitable. As far as I'm concerned, I think we'll come to a "point of no return" in the next two or three years, when you will see a substantial increase in investment in Russian refineries. Is the cancellation of import duties on equipment temporary? No. Duties have been permanently cancelled for any equipment produced outside Russia. What effect do you believe this will have? Principally, that the export of high value hydrocarbon products will now increase. How much political influence is there on your work at the Ministry? The year 2007 was different from the previous three. The elections to the State Duma, the lower house of the Russian parliament, in early December greatly influenced the dynamics of the government's work, especially its adoption of the three-year budget before autumn. It also encouraged the introduction of fundamental laws, which we tried to pass in the first half of the year, so that parliamentary hearings would not be influenced by politics. What, in your opinion, are Russia's main economic achievements over the past year? I would say, in the first instance, the initial public offerings of Sberbank and VTB bank. Then there is the merger of Sovkomflot and Novoship into the United Shipbuilding Corporation; the creation of the AirUnion airline alliance; and the successful sale of Elgaugol Coal. These may appear fairly localised achievements, but each one will, I believe, have lasting benefits in terms of developing competition in all sectors. If we are to speak about legislation, then we should mention the bill we passed to establish the Development Bank, and indeed the establishment of the bank itself. We have also launched an investment fund which will provide similar long-term benefits to the country. Here we have already made agreements to fund four projects and work is underway in two of them. We have held four concession tenders. And, by the end of the year, we expect to begin operating the Petrochemicals exchange. These are real, important and substantive milestones.